“Location, location, location!” Do you know the best location for x-ray inspection? 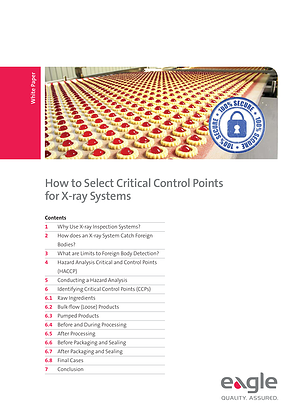 The effectiveness of your x-ray inspection efforts are also ruled by the location of the critical control point used. This ebook outlines how to determine this to ensure the highest product safety possible. See these real world examples of the benefits this has brought to companies using their x-rays at their optimal locations. Download this guide to stay on top of your efforts to improve product and consumer safety.